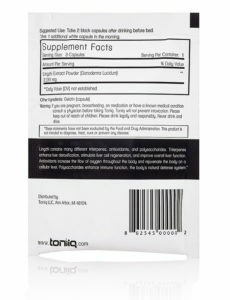 My Toniiq Review: Do Toniiq pills stop hangovers? There is nothing worse than waking up after a fun night out drinking with friends, only to get up and realize that you have a throbbing headache, feel sick to your stomach and have another terrible hangover. The problem with hangovers is that you can’t really do anything about them. It’s kind of like being sick in that you are going to feel terrible and you are more than likely just going to have to wait it out. You might drink water and relax as much as possible, but it usually comes down to a matter of time. The truth is, you don’t need to endure a terrible Saturday or Sunday morning after having an amazing night the night before. 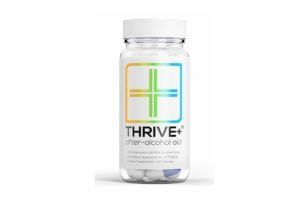 There are several hangover related products on the market these days that can actually stop a hangover in its tracks, and the reviews for some products have been pretty good. 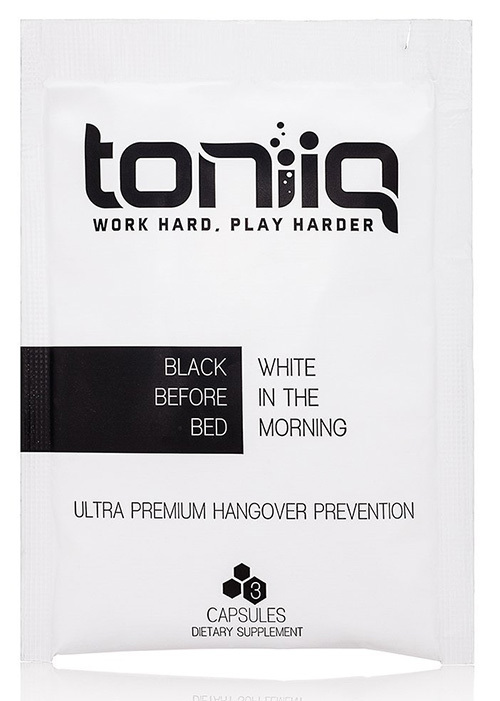 One of the best rated hangover cure products (there are many Toniiq reviews on Amazon) is Toniiq’s premium hangover prevention detox kit. The kit comes with several different pills, which you take at different times to kill that hangover pain. The process Toniiq suggests involves taking a pill after you go out drinking the night before, and taking a second pill when you wake up in the morning. To understand what these pills are doing, you really have to understand what is happening during a hangover. A hangover is essentially your body coming down off an alcohol binge and coming back to normal. Unfortunately, the process is not fun if you have had quite a bit to drink the night before and you will most likely have a headache and a stomach ache. This comes from a bunch of factors, but some of the biggest reasons are that you are undoubtedly going to be very dehydrated from drinking. All forms of alcohol are a diuretic, especially beer, which essentially means that you expel more liquid than you take in. If you are drinking beers all night, you are without a doubt going to be very dehydrated and depleted of essential electrolytes in the body. The core of Toniiq’s hangover product is an ingredient called Lingzhi, an extract that Toniiq claims will prevent hangovers completely. To treat the cause of a hangover, the underlying metabolic process needs to be addressed, and to address the underlying metabolic process, the liver needs to be addressed. Enter Lingzhi. Lingzhi is the gold standard for liver enhancement, detoxification, and regeneration. Lingzhi is said to be traditionally known as the “Herb of Spiritual Potency”, and has apparently been in use for over 2,000 years. Originally harvested for use by Chinese Emperors and High Priests modern science revealed the Lingzhi genome (at about 12,600 genes on 13 chromosomes) and it has been fully sequenced in 2012. What Does The Lingzhi Extract Do? How Do You Take Toniiq? Toniiq is pretty straightforward to take if you follow the directions. Simply take two black pills after you have completed your night of drinking. This is supposed to ensure that the pills are going to work while you are asleep. When you wake up in the morning, you take a single white pill and together, you should be hangover free. So this is the question that you came here to have answered: does Toniiq work? Although Tonniq has some good reviews on Amazon, I worry about their validity as Toniiq did not work very well for me at all! I took one pill after going out for a pretty big night of drinking (although no bigger then when I tested other hangover cure products for hc.org), and then took a second pill when I woke up in the morning. I woke up feeling pretty rough, tired, slow-thinking and with a slight headache, so after taking the second pill in the morning I did down almost an entire litre of water within 30 minutes. I do this every morning anyways to keep my skin looking pretty (don’t hate me because I’m beautiful) so I’m pretty tuned in to how water in the morning effects my body. With Toniiq pills, to be honest the water did more for me then the pills. These pills did absolutely nothing for me and I was lucky it was a Saturday when I decided to test them, as if I had work to go to or an event to make the next day, I would have been screwed! This is just my opinion based on a single test (I didn’t really want to test these a second time as I have so many other hangover pills to test and report on here that I didn’t think it was worth it). Toniiq does seem to have some stellar reviews on Amazon so it’s worth taking a read of them and checking the validity of this product yourself. 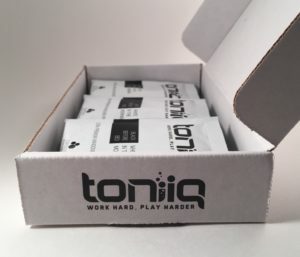 Best Price: If you still want to give Toniiq a try for yourself, it is available on Amazon and currently priced at $24.97 for 18 capsules + shipping. I suggest that if you’re really trying to cure your hangover, you should try one of the hangovercure.org highest rated products. Thanks for this review! I’m testing a bunch of stuff out and am finding that there are a lot of duds out there.